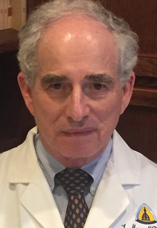 Lawrence S. Mayer, M.B., M.S., Ph.D. is a scholar in residence in the Department of Psychiatry at the Johns Hopkins University School of Medicine and a professor of statistics and biostatistics at Arizona State University. He is a biostatistician and epidemiologist who focuses on the design, analysis, and interpretation of experimental and observational data in public health and medicine, particularly when the data are complex in terms of underlying scientific issues. He has held professorial appointments at eight universities (Princeton, the University of Pennsylvania, Stanford, Arizona State University, Johns Hopkins University Bloomberg School of Public Health and School of Medicine, Ohio State, Virginia Tech, and the University of Michigan), and has also held research faculty appointments at several other institutions (including, from 2014 to 2016, the Mayo Clinic). His full-time and part-time appointments have been in twenty-three disciplines, including statistics, biostatistics, epidemiology, public health, social methodology, psychiatry, mathematics, sociology, political science, economics, and biomedical informatics. Mayer has been published in many peer-reviewed journals (including The Annals of Statistics, Biometrics, International Journal of Geriatric Psychiatry, and American Journal of Political Science) and has reviewed hundreds of manuscripts submitted for publication to many of the major medical, statistical, and epidemiological journals (including The New England Journal of Medicine, Journal of the American Statistical Association, and American Journal of Public Health). He has testified in dozens of federal and state legal proceedings and regulatory hearings, in most cases reviewing scientific literature to clarify the issues under examination.